What do I need to do to get a company web presence? As the New Year gets underway, I have been contacted quite a few times by people who are interested in domain names, email addresses and websites but they don’t know where to start. Perhaps a lot of people are starting new businesses in 2016 or maybe those running new businesses have realised that they need a web presence to compete regardless of the industry. What is a domain name? Why do I need hosting? What do I need to do to set up a company email address or a website? In this article I cover the minimum you need to know to get started, explaining any jargon along the way. First up, in this article I will have to use some technical terms that you may be unfamiliar with so I’ll explain those briefly first before going into more detail. Hosting: is a place on the internet that is a home for your website or email address. It is can be found by entering a string of numbers such as 79.170.42.3. Hosting provides the services you need to enable a website or email address to function on the internet. Domain name: is a readable address such as pathowe.co.uk or mywebminder.com. It makes the real address of a website or email easier to remember as the real address is a string of numbers shown in hosting. Email address: is made up of a name and a domain separated by the “@” symbol. The email address makes it easy to contact people at a company or the company itself. Most companies have a generic email address that is monitored. Website: is made up of pages of code either written in a mark-up (design) language such as HTML or in a programming language such as PHP or Java. A website usually contains words and images. Now we’ve got the technical terms out of the way, they are all the things you actually need to get your business web presence. You could connect a PC to the internet at home and host a website without a domain name but unless you had a static IP address no-one would be able to find you and unless you kept it on and connected 24 hours a day, the search engines wouldn’t record it. What you need is to have a host server and unless you want to spend a lot of money running your own environment from your company premises (tens of thousands) then you will need to use a hosting provider. There are lots of places you can find these on the internet and lots of different packages you can purchase. Some places separate web hosting from email hosting to appear to offer cheaper hosting but you will need both so it’s best to get a package that has both together. If you want to host a website that has been built using a content management system such as WordPress or Joomla then you will need a hosting package that contains at least one database. Most hosting providers give you a choice of Windows or Linux. Just because you use Windows at home or in the office doesn’t mean that your hosting server needs to be the same. Both work equally well for email and for standard websites. If you have programming involved in your website then I would go with Windows if it is ASP.NET or Linux for PHP (for other languages just ask). 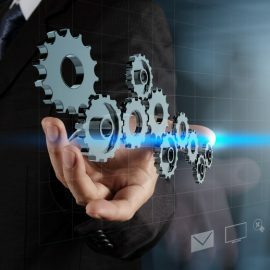 Most hosting providers will give you a control panel to do all the tasks that you will need to do so you never get to see the actual server and what is beneath the surface usually doesn’t matter. If you have no programming language preference then you’ll probably find Linux to be cheaper. You normally pay for hosting on an annual basis and there are really two main types (although hybrids exist). There are dedicated servers and shared servers. Dedicated takes a lot more management on your part but gives you complete control of all server settings and the risks that go with it. They also give you 100% of the server capability for your own use. However, they usually cost thousands of pounds per year. The other side is the shared hosting where a provider will have hundreds of domains (quite a few will be inactive) on the same server and each will be limited to a small percentage of the servers overall capacity (say 5%). Even on the shared environment there are usually different packages depending on your operational needs. Network traffic, disk space and number of email addresses, databases, sub-domains, etc. are all considered in the cost but shared hosting is a fraction of the cost of dedicated hosting and can be very cheap at £30 per year to a few hundred. This is probably the easiest one to explain and there are thousands of providers. You can see my articles on “what is a domain name” and “how to pick a domain name” for more information. Basically you pick a name and pay for it annually. Then using the domain name management tools of the domain registrar you point it at a hosting address. 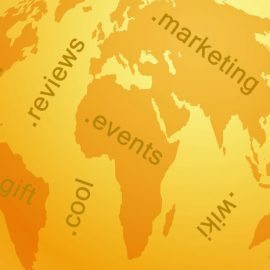 It takes a day or two for the name to be recognised for that address so it’s best to do that as early as possible and the easiest action is to purchase domain and hosting from the same place as then it is automatically associated with the hosting and you don’t need to use any domain name management tools. Beware though that some places offer superb first year deals to attract you to them without showing you the full annual fee and they can make it very hard to transfer away from them in the future. I have many customers who purchased a domain for £1 or $1 for the first year but then found they had to spend £200 on shared hosting with the same provider. Others have purchased hosting with a free domain name for the first year and then they find it is an expensive second year renewal. So be careful and don’t rush into the first great offer you see. Every company should have a way for a customer or potential customer to contact them through the electronic message format of email. 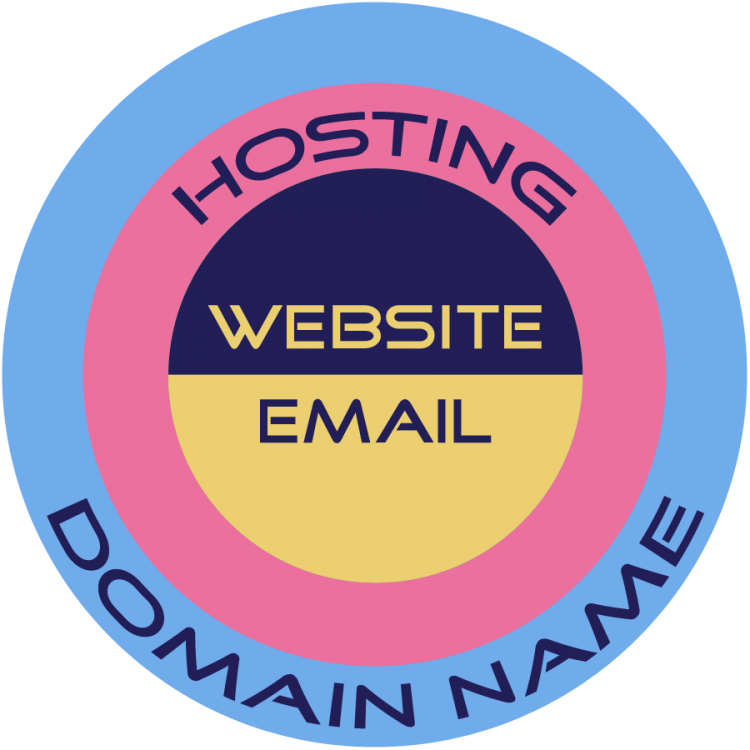 Before you can use an email address you will need a domain name and have email hosting. An email address is made up of two parts; the bit before the “@” symbol is the recipient’s name and the bit after the “@” symbol is the company domain name. For example bob@example.com where the company domain name is example.com and the recipient’s name is “bob”. Your generic company recipient email address might be “support” or “info” or “contact” or “reception” or anything else. Emails are sent to mailboxes and each mailbox needs a separate recipient name to distinguish it from the others. Otherwise, everyone at the company would see everyone’s emails and nobody would know who sent an email if it could have been from anyone at a company. 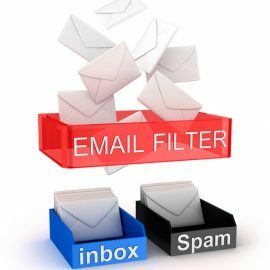 The mailboxes are setup on the email hosting server and then you use your device to connect the mailbox with your own credentials to send and receive emails. You can have more than one email address on a single device if you need to and you may have access to your own company email address (i.e. bob) as well as other generic mailboxes (i.e. info). A company should have a website even if it is just an online brochure for their business. There are a lot more details in my article “how to cook up your own website” that you may find useful. You can create one yourself if you know a programming language or use a website building application, you can use content management systems to pick a template and fill in the text yourself or you can get someone to build one for you usually at a cost. Costs do vary greatly so it always pays to get a few quotes. A basic company website usually contains the company logo and mostly has more than one page. If a website has multiple pages these will be accessible through a menu structure that will appear on all pages with the company logo. All pages should look the same too so they will be branded / styled to a central set of instructions called a stylesheet. That way, if the company style changes, say swapping the font from Arial to Tahoma then only the stylesheet needs to be updated to have that change propagated to all the pages. Home Page: this is a welcome page that can also act as an introduction to your company like an About Us page and an introduction to your products and the site navigation. Product Page(s): these pages show the details of the products you are selling or the services that you are offering. I would have separate pages for each of these but as a minimum you need a page dedicated to your products/services which is rich in the keywords that the search engines like. Contact Page: this is a way for the potential customer to get in touch with you. The page can be a form to complete and send or provide your address and phone number. Try to avoid showing an email address as these get harvested and used by email scammers. I hope that helps and you now have some idea of what you need to do to get your new start-up company a web presence. If you are looking for any of these then consider my company, My Web Minder, when you are looking around.